Blackwater Distilling’s head distiller Andy Keller came by the studio to talk about the Kent Island based distillery. We discussed his journey to become a distiller, different types of rum, and their newly opened tavern. Mark (not Mike as Chris introduces him) Vierthaler, the Head Distiller at Tenth Ward Distilling Company, stopped by the studio to talk craft spirits. He gave us a brief history of his distilling experience and taught us about genever. Chris also received a lesson on how to do a kopstoot. If you want to spend a day with Mark learning how to be a distiller go to http://bit.ly/10thdistiller for information. Drew Baker joined Chris in the studio to talk about The Burnt Hill Project and their upcoming Summer Solstice Festival that will take place on Saturday June 22nd. Drew also gave Chris a lesson on biodynamic farming and what a piquette is. We packed up the studio to head back to Baltimore to check out Full Tilt’s new brewery. Co-founder Nick Fertig and Ryan Cooper, the general manager, gave us an update on what is going on at the brewery and the beers they have coming up. We also received an update on the Hops the Cat saga, helped name one of the characters after Chris’s dog, and poked fun at Lesser Dan. 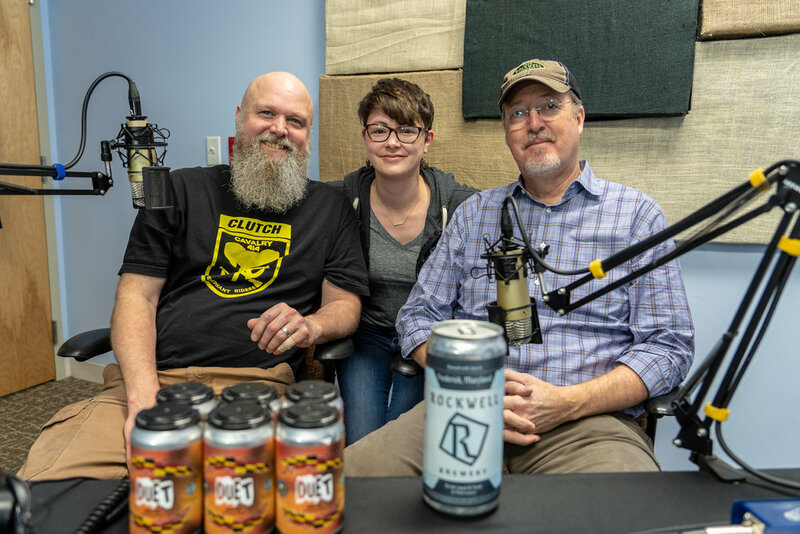 Paul Tinney (co-founder) and Scott McKernon (head brewer) of Rockwell Brewery stopped by the studio to talk about what’s going on at the brewery and its two year anniversary. Chris also made Paul teach him about guitar making. Kevin Atticks and Jim Bauckman stopped by the studio to give an update on legislation that affects the beer, wine and spirits industries of Maryland. Jim also gave a rundown of the events being held for each industry. Keep an eye on our facebook page for chances to win tickets to all of the events. Episode 125 - Frey's Brewing Co.
Adam Frey, owner of Frey’s Brewing Company, stopped by the studio to talk about his newly opened tasting room. We also discussed the close to two year hiatus that the brewery took and what happened. We met up with Dwayne Kratt, Sr. Director of State Government Affairs for Diageo, at the Guinness Open Gate Brewery. 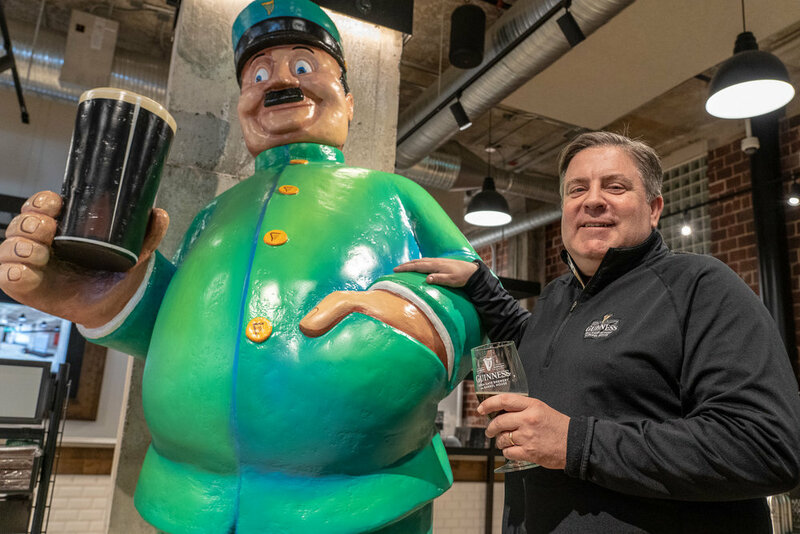 We discussed his testimony on behalf of Guinness before the Maryland House of Delegates and Senate, and their support for the bill put fourth by the Brewer’s Association of Maryland. Over the last couple of years we have spoken with Comptroller Peter Franchot several times about legislation to reform alcohol laws in Maryland. This year we are discussing legislation that has been introduced to strip the comptroller’s office of the responsibility of regulating alcohol, tobacco, and fuel. The comptroller as well as many others believe this legislation was introduced purely as a personal attack on him for being outspoken about the craft beer industry. Micheal Clements, founder and brewmaster of Idiom Brewing Co., stopped by the studio to talk about his recently-opened brewery along Carroll Creek in downtown Frederick, Maryland. Listen in to learn how he went from home-brewing to opening his own brewery and everything you could possibly want to know about idioms. Micheal also let us in on their plans for expansion. Colin Marshall (co-founder,) Tom Foster (co-founder & brewmaser,) and Zack Kaiser (Sales and Marketing) stopped by the studio to update us on their Baltimore-based brewery. Last year Diamondback Beer started to place an emphasis on “slow beer” and started producing several lagers and barrel aged beers. We also discussed their upcoming collaboration with Guinness and explained to Chris what “raw ale” is. 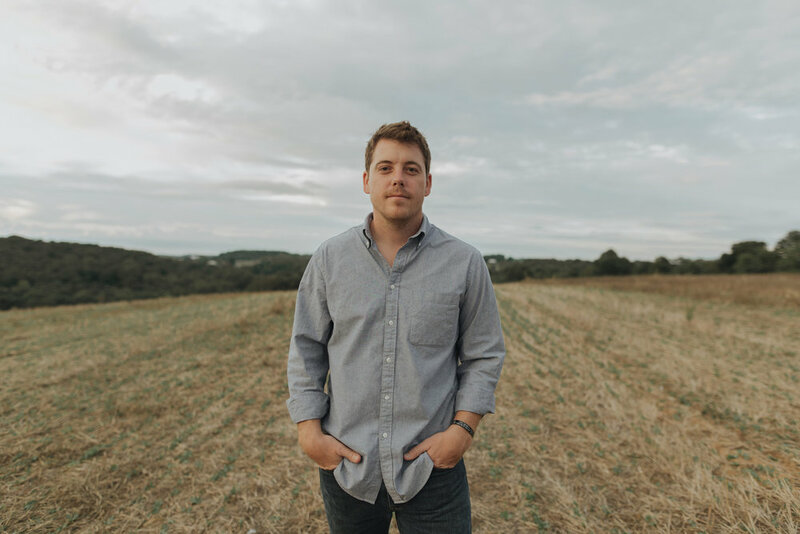 We headed out to Baltimore to talk to Max Lents, co-founder of Baltimore Spirits Co, about bort. What is bort you ask? Well you will just have to listen and find out. We also discussed their name change and settling into their new distillery. As an added bonus we were joined by the elusive Eli Breitburg-Smith, BSC’s other co-founder. We also had a brief discussion about their upcoming collaboration with McClintock Distilling Company. Wes Hogentogler, president and founder of the GO-BREW home brew club, and Greg Parnas, a local brewery attorney in the DMV area, legislative counsel for Marylanders for Better Beer and Wine Laws, and a contributing writer to dcbeer.com, visited the studio to talk about Marylanders for Better Beer and Wine Laws. MBBWL is a grass roots organization with the goal of reforming Maryland’s alcohol laws. Emma Whelan and Matt Cronin joined Chris in studio to talk about Astro Lab, their Silver Spring-based brewery. For our first episode recorded in 2019 Chris was joined by special guest host Keith Marcoux of Olde Mother Brewing Co. to talk with Joe Jalette and Colin McGuire of the band DoubleMotorcycle (the guys behind our intro music!). We talk about the collaboration beer that Olde Mother and UnCapped brewed for the release of Double Motorcycle’s new album, Chris making Colin drink beer he doesn’t like, and bathroom remodels. This episode was recorded during a special event at Waverly Brewing Company during Baltimore Beer Week. We gathered several breweries from Baltimore area and one from Montgomery County. Everyone was asked to read the best of the worst reviews that their brewery has received. An Ode to the 1 star review, An Evening of Strong Opinions was born! Intellectual property attorney Hank Abromson stopped by the studio to help us understand trademark and copyright issue as they pertain to beer names and artwork. He explained to use how to determine the protections that are provided by fair use and parody. Brendan & Bailey O’Leary, founder of True Respite Brewing Company, returned to the studio to pick up where we left off in their first visit. We discussed the proper hockey team to root for, the upcoming first can release, and how it has been running a brewery. Brooke Brown and Ryan Sulchek came by the studio to talk about cocktails. Brooke is mixologist and runs the company she created, Bashes by Brooke Brown a business that event coordinates, business consultant, and hosts mixology classes around Southern MD. Ryan is the owner of Araza Natural Purees, they offer a line of frozen and aseptic fruit purees. We talked about making cocktails, smoking out the studio, and how awesome owning a speakeasy would be.